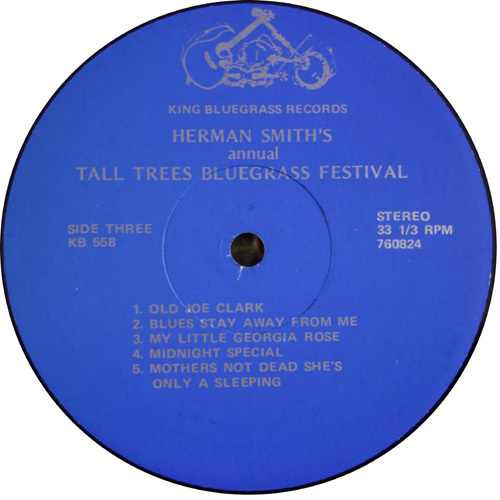 Recorded live at the first annual 'Tall Trees Bluegrass Festival' 16-18th July 1976 at Modoc, Indiana. 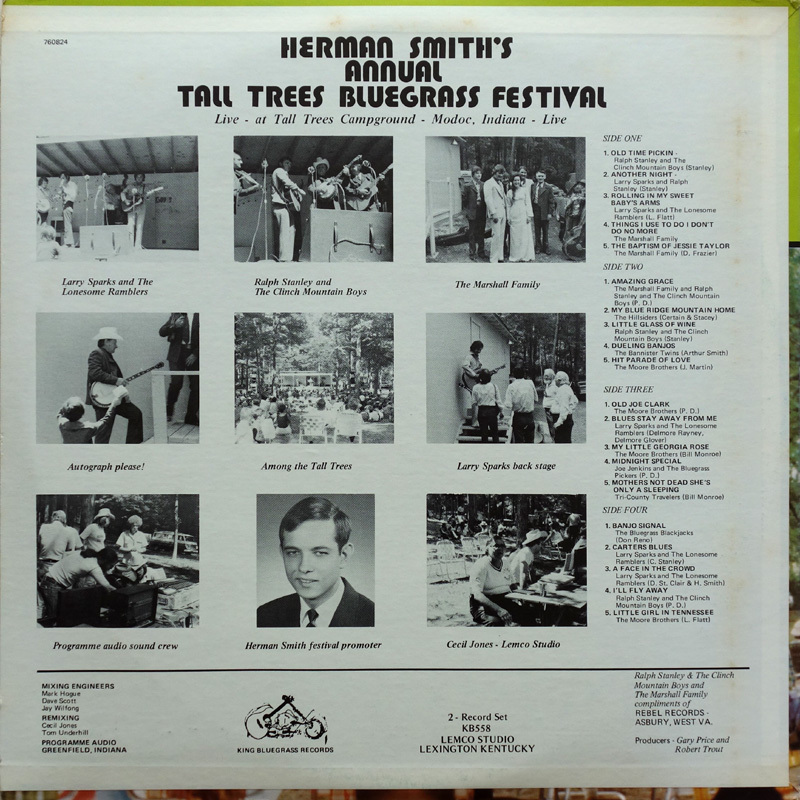 This double LP set seems to be the first (recorded) appearance with Troy 'Renfro' Profitt on lead guitar. 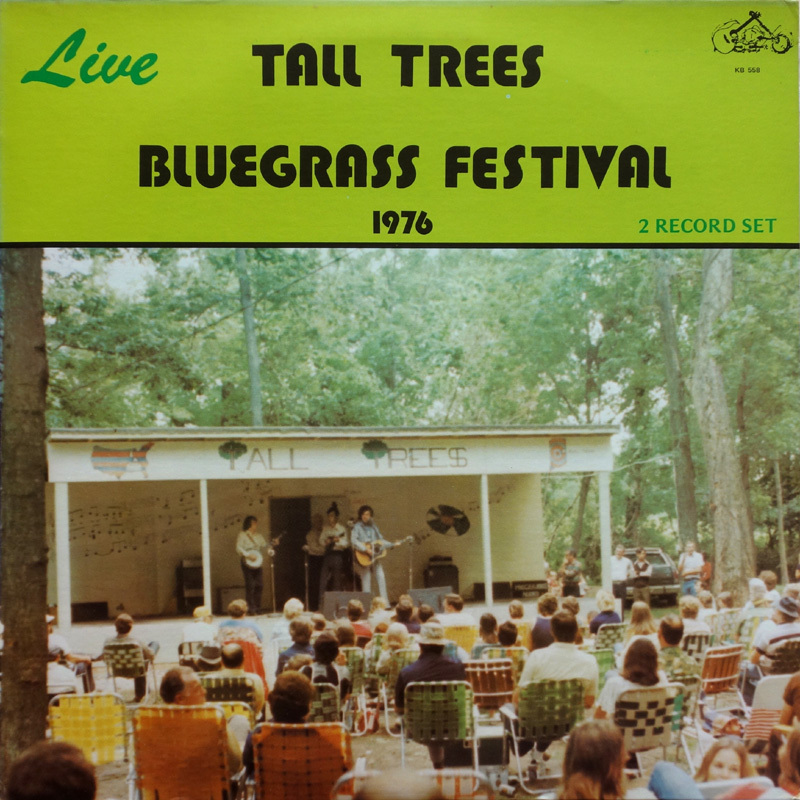 The performances aren't outstanding, but the recording quality is decent and it's still nice to hear Larry Sparks and Ralph sing Another Night and the other cuts. 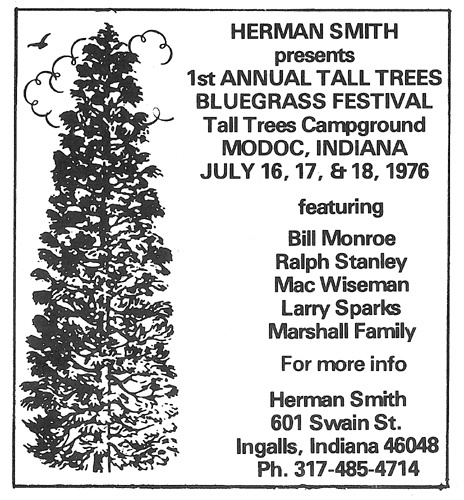 Danny Marshall, who played lead guitar on 'Old Home Place' in Feb. 1976 is back with The Marshall Family, with whom Ralph assists with Amazing Grace. 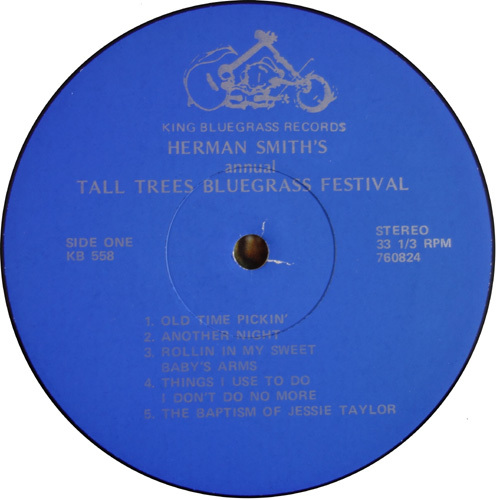 The Baptism Of Jesse Taylor was also recorded by Ralph on his 1975 Let Me Rest On A Peaceful Mountain LP. 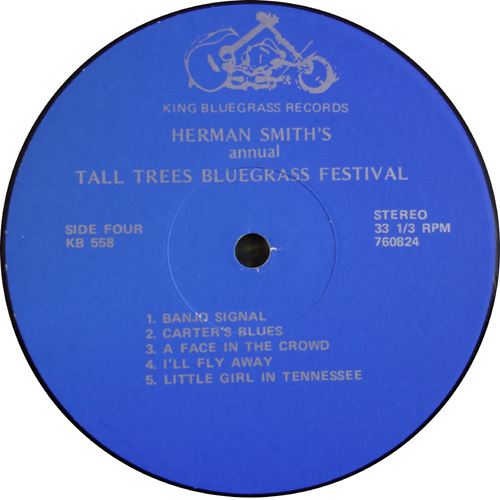 The promoter Herman Smith organised multiple festivals in different states. 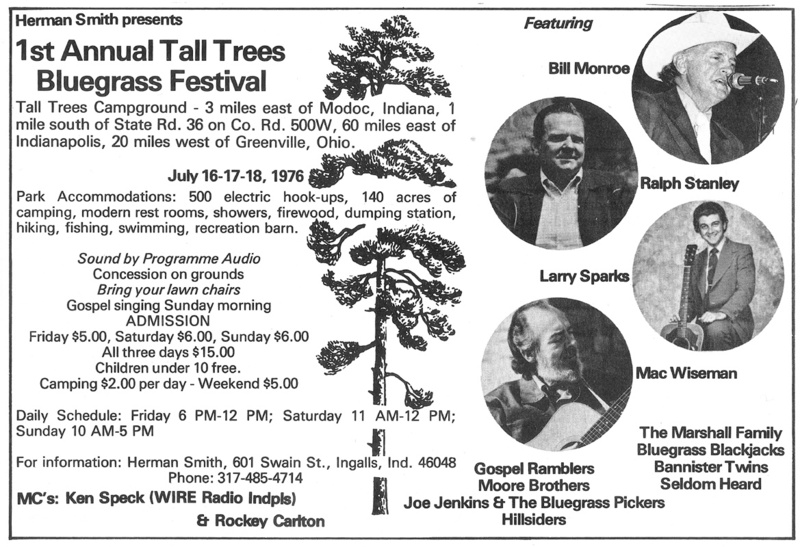 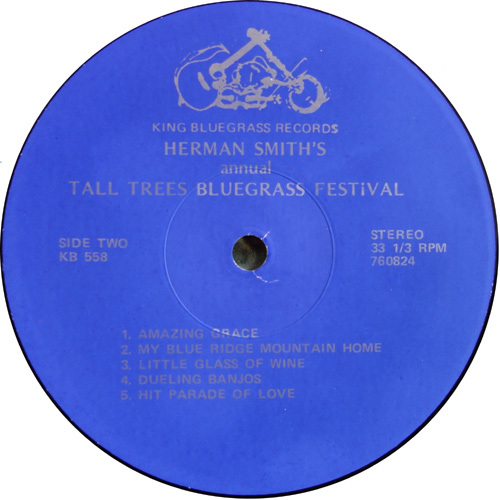 From the Bluegrass Unlimted adverts, other acts featured at this festival (but not on the LP) included: Bill Monroe, Mac Wiseman, Seldom Heard and Gospel Ramblers.